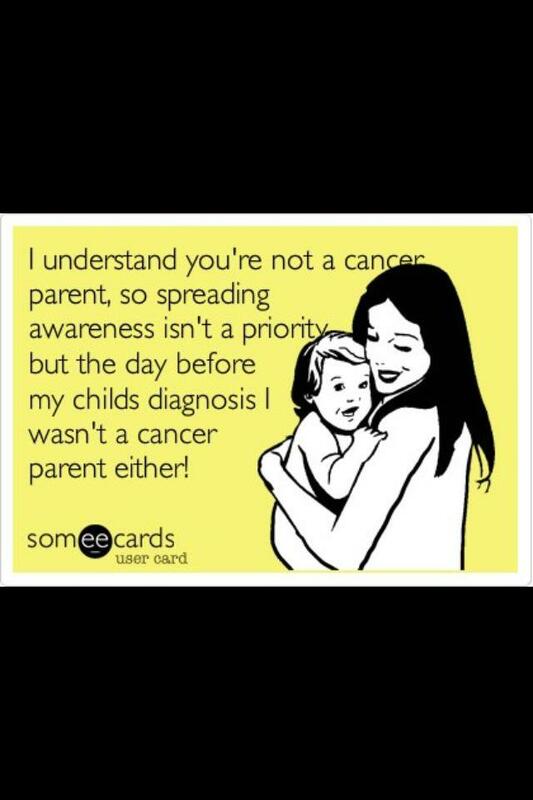 Each year in the US approximately 13,400 children between the ages of birth and 19 are diagnosed with cancer. The overall 5 year survival rate for childhood cancer is 80%. That is awesome. But survival comes with a cost. Over 2/3 of those survivors have at lease one serious chronic health condition. 1/4 of those survivors face a late-effect from treatment that is classified as severe or life-threatening. Childhood cancer research is primarily funded through the National Cancer Institute. Childhood cancer research is allocated an amount equal to approximately 5% of what is allocated to just breast cancer research. Breast cancer research advocates have done an amazing job with their pink ribbon campaign, raising an amount equaling about half the amount allocated to breast cancer research through the NCI. Childhood cancer research advocates started a gold ribbon campaign. And you can help us get the word out. Attend fundraisers, talk to people about the gold ribbon campaign and what donating can do for kids everywhere. For Wes. Our lives over the last two and a half weeks have been flooded with statistics – how many cases of hereditary retinobolastoma are bilateral versus unilateral, cure rates, number of cases in the US of retinoblastoma each year, and on and on. Let Wes be your living statistic. The 1 in 28 kids diagnosed with cancer on Friday, September 7th. May he be the one, the only one, you know. May no one else in your life ever have to know what this is like first-hand. I will leave you with a video of my adorable baby boy taken this week. Happy as can be. Blissfully unaware. I just wanted to say how completely and totally in awe I am of your ability to be a fierce advocate for your baby, and to keep him happy as can be and blissfully unaware. All he knows is your unbounded love! Stephanie – I have no choice but to be strong and advocate for him. This is my job now. I will do anything I can to help Wes get through this and get through this with grace. Thank you for your kind words.